Amy qualified as a nurse from Southwest College, Enniskillen in 2010. She went on to work as a nurse in Australia for 5 years. 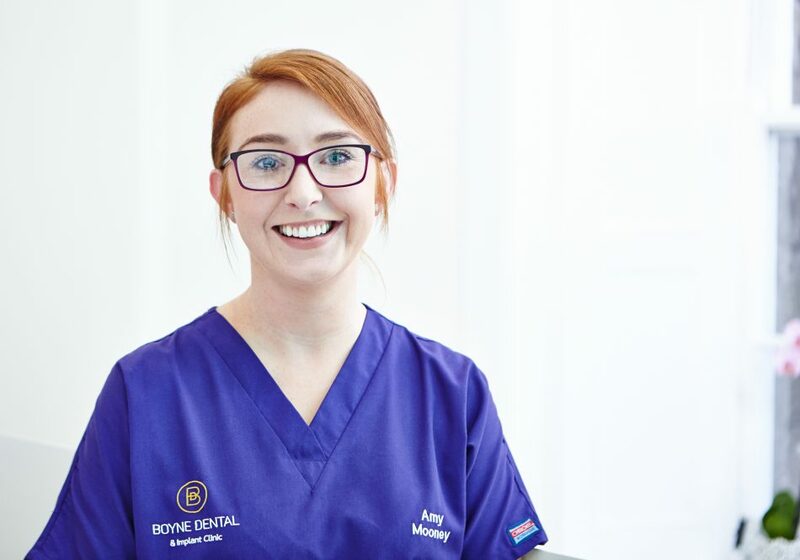 She returned home last year and started working in Boyne Dental soon after. When she is not in her scrubs, Amy loves walking with her greyhound Napoleon.